Movies, radio, television and more recently the internet each revolutionized communication, lifestyles and society. Current scientific research quietly hints at the next wave; the blending of computers with the human mind. Forget avatars and 3-D games, we’re on the threshold of chips in our brains that will enable us to experience the lives of the rich and famous. Ceilia Lybrand has it all, a design career that brings money and recognition, along with a live-in stockbroker jock boyfriend. Life is good, or so it seems. Finding a company document by chance sets her on a path of self and career assessment that turns life upside down, making her face who she is and testing her courage to put it all on the line. 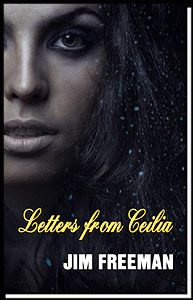 Letters from Ceilia touches on issues successful women avoid, much less confront. Like most career women on the rise, Ceilia approaches her life and work with female emotions, despite the fact that she lives in a world largely defined and run by men. Partly through correspondence, we get an intimate look at Celia’s psyche, her search for strength and struggle to survive. She puts her relationship and career at risk. But is it worth it? 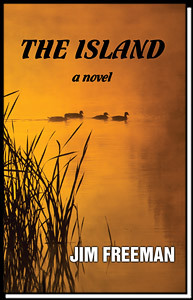 The Island, an ageless 800 acre duck hunting club on the Illinois River is built with sweat and dreams, the very essence of Hank Edsons powerful life. But the island comes with its own legacy, old time market hunter and local redneck, Gart Haggard, whose reputation is that of an outlaw poacher, hot-headed and dangerous one moment, soft-spoken and generous the next. In his unsettled mind, the island is his by some strange birthright, his goal to drive Hank off this land and fire has always has been his weapon. 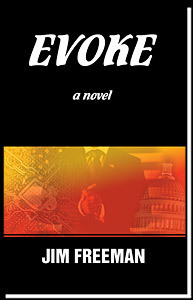 A chilling story of two men in deadly conflict, the one honorable and immovable, the other arrogant and unstoppable. Set in a last best place, where hunting is inseparable from spirit, anyone who’s sat out a cold, wet morning in a duck blind will be drawn to The Island. These poems explore connection to lovers, friends and family or glance into the lives of complete strangers. Jim Freeman is not the kind of guy you’d expect to write poetry and his narrative poems are straightforward, with nothing to decipher and wonder what he meant. Yet he lets you read between the lines and fill in your own imagery. 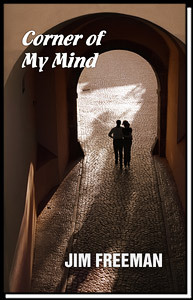 “There’s a corner of my mind you own,” the opening line of the title poem suggests an invitation to a shared journey. Corner of My Mind is perhaps the most personal of Jim Freeman’s collections. 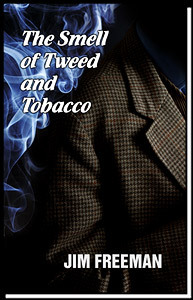 They perfectly reflect an exploration of the writer’s mind, perfectly revealing what lies behind words. Freeman’s love poetry is lyrical without sugar coating, an honest look at love as the force informing relationships with women, friends and his favorite city. Prague is more than backdrop to his writing, the cobblestone streets of this ancient city physically probe the quiet and secret corners of thought. Corner of My Mind intimately explores the motivations and habits of a writer, his friendships, past loves and life in another country. If poetry carries us through the difficult storms of emotion, then this collection is your foul-weather friend. “I did lots of things last night my body wasn’t happy with” - haven’t we all been there? 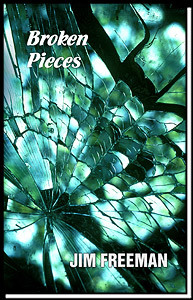 Or the opening lines of the title poem, “Sleeping in broken pieces, the rusted wreckage of an unmade night” – sound familiar? We’re not alone with these feelings, not the only ones with sleepless nights.We see ourselves and our lives in occasionally clear but mostly confused prose. But we dream in poetry. The themes span from sailing, duck and elk hunting trips, to traveling Europe, exploring different cultures and perhaps even shedding light on social or political issues.